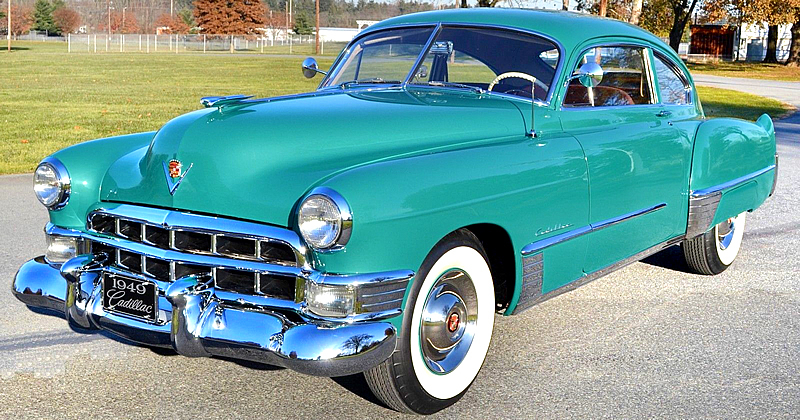 The 1949 Cadillac has proved to be a timeless design, a masterpiece in forties styling. It was named "Car of the Year" by Motor Trend magazine. Interestingly, following the major revamp the year before, there were only minor cosmetic changes to the 1949 models. It's hardly surprising either as the '49 models were launched barely 9 months after their predecessors. The most obvious change from the front was the new, chunkier grille with two-row egg-crate design rather than the three rows the previous year. Perhaps the most eye-catching feature of the Coupe (seen here in Lucerne Green Metallic paint - code 16) was the fastback styling. Cadillac had introduced tailfins, inspired by the Lockheed P-38, in 1948. Now, for 1949 they had a new engine that delivered another blow to the competition. 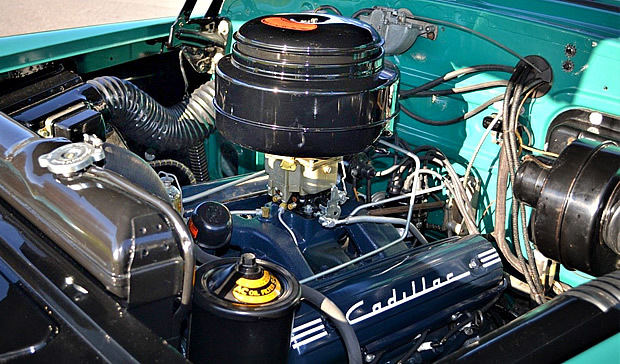 A high compression 331 cubic inch V8 producing 160 horsepower which was a 10 hp improvement over the previous 346 CID. The new engine was the result of ten years' research and development with the goals of reducing the weight and increasing compression to take advantage of the new higher-octane fuels that were due out. Time has told is that these new engines have proved reliable and durable often racking up considerable mileage. 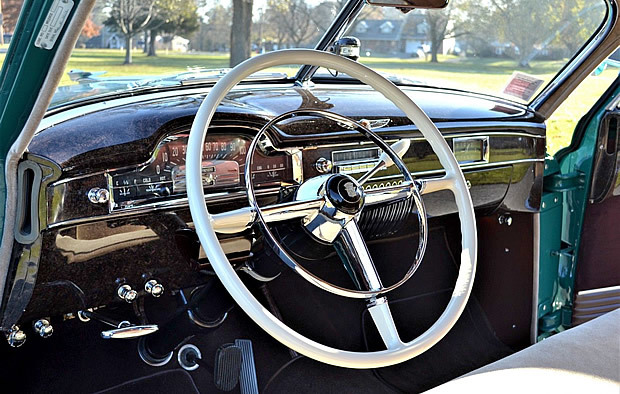 At this time Cadillac's still came with a 3-speed manual transmission as standard. The original owner of this car opted for a Hydra-Matic automatic transmission which would have cost an additional $200. This was a $2,966 car when new with Cadillac selling 7,515 of 62 series Club Coupes for the 1949 model year. It total across all models they sold 92,554 cars that year. 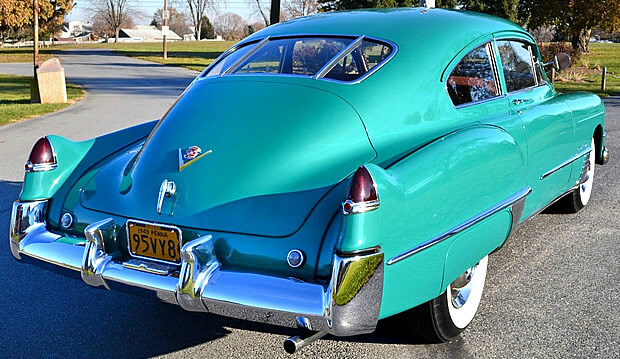 The 1949 Cadillac was a fine looking car and could well be the car that took the other manufacturers into one of the finest decades of automobile design and manufacture.